Epochal changes in society can, and often do, inspire new vogue vocabularies and expressive styles. The social turbulence that the sudden increase in the pump price of petrol stirred in Nigeria activated many hitherto passive vocabularies and brought to the surface many distinctive usage patterns in Nigerian English. I chronicle a few of them below. 1. “Subsidy.” Perhaps the biggest linguistic gain of the petrol price hike embroilment of the last few weeks is the promotion of the term “subsidy” to the front burner of the linguistic consciousness of Nigerians of all social classes. 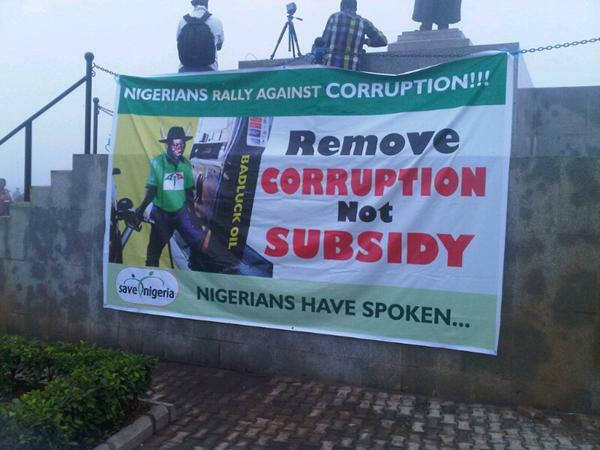 Before now “subsidy” was a passive terminology that was used only by the highly educated stratum of the Nigerian society. Now almost every Nigerian knows what it means. A clear marker of the integration of this otherwise “big,” formal word into the everyday speech of Nigerians is its continuously creative vernacularization and humorous contortions. For example, a protester in Kano inscribed the following words on the back of his T-shirt: “Subsidy is my soul.” This simple yet pithy catchphrase captures the depth of the helplessness and angst of the Nigerian masses in the face of government’s overt economic hostilities against them. Similarly, because the angry protests that accompanied government’s action led to many deaths in such cities as Ilorin, Lagos, and Kano, Nigerians coined the term “subsidie” to capture the slaughterous character of the moment. Music of lamentation and anger over the misery that the petrol price increase has visited on ordinary Nigerians is now called “subsidy blues.” YouTube is suffused with scores of “subsidy blues” from upstart Lagos musicians. “Subsidy” has even made inroads into the lexis and style of Nigeria’s native languages. There was, for instance, a popular social media joke during the protests that said a Yoruba couple had a son during the petrol price hike crisis and decided to name him “Subsideen” to mark the circumstances of his birth. This is obviously a play on such names as Muyideen, Sharafadeen, Shamsudeen, Tajudeen, etc., which Yoruba Muslims have a particular fondness for. The female version of Subsideen is “Subsidat,” also a play on such popular female Muslim names as Rashidat, Muyibat, Habibat, etc. 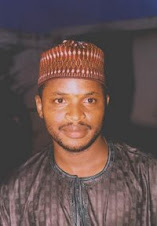 There is another joke about an Igbo man whose wife gave birth to a son during the “subsidy crisis” and who chose to name the son “Chibusubsidim,” which stands for “God is my subsidy.” Other Engligbo ( i.e., English with Igbo inflections) “subsidized names” (as one Nigerian blogger creatively called it) are Chukwubusubsidim (a male name, which also means “God is my subsidy”); Nkechisubsidilanyi ( a female name that translates as “one that God has subsidized for us”); Chinwesubsidi (a female name that translates as “God owns all subsidies”); Subsidibuifeoma (a female name that translates as “subsidy is good”); Chukwuemekasubsidi ( a male name that translates as “Thank you Lord for the subsidy”); Chinasubsidisikasi ( a unisex name that stands for “God is the ultimate subsidizer”); Chukwukasubsidi ( a unisex name that means “God is mightier than subsidy”); Nkesubsidinye (Engligbo for “born as a result of subsidy”); and Ikesubsidi (a male name that means “the power of subsidy”). All these names are creatively humorous lexical and semantic contortions of such popular Igbo names as Chibuzo, Chukwuemeka, Ifeoma, Nkechi, Chinwezu, etc. The Ibibio version of the “subsidy” jokes said a child born in Akwa Ibom State during the petrol subsidy removal crisis was named “Subsi-obong.” Another was named Subsi-abasi. Obong means chief or king in Ibibio. Abassi means God. It was also said that during the mass protests the commonest form of greeting in the Yoruba states of Lagos, Oyo, Osun, Ekiti, and Ondo was “eku subsidi” in mimicry of such formulaic Yoruba greetings as “eku ise” (for someone who is working), “eku faji” (for people in a conversation), etc. 2. “Fuel.” For some reason, the word “petrol” seems to be receding from the active idiolect of Nigerians. It is being replaced with “fuel”—in more ways than has ever been the case before. In both American and British English, fuel is not synonymous with petrol. Among its many meanings, fuel is the umbrella term for all substances that produce energy such as coal, petrol (which Americans call gasoline or gas for short), kerosene, diesel, etc. So, technically, the Nigerian government didn’t remove subsidy on fuel on January 1; it only removed subsidy on petrol. But I have come to accept “fuel” as Nigerian English’s synonymous term for petrol or gasoline. When I write for a Nigerian audience I too habitually—and intentionally— interchange the two terms. Curiously, in their coverage of the Occupy Nigeria protests, even the American and British news media appeared to have accepted the Nigerian usage of “fuel,” at least in their headlines. This is perhaps because they assumed that the price hike also involved products like kerosene and diesel. 3. “Premium Motor Spirit (PMS).” When Nigerian newspapers don’t call petrol “fuel,” they call it “premium motor spirit.” No other variety of English in the world calls petrol by that name. None of my American friends, for instance, had the slightest hint what the term meant when I asked them if they ever encountered it. So I concluded that it probably came to Nigerian (media) English by way of British English. It turns out that the term has no currency even in British English. My research showed that from the late 1800s up to the late 1930s, business rivals of Carless, Capel & Leonard (now renamed Petrochem Carless Ltd), one of Britain’s first oil companies (which also invented the term “petrol”) chose to differentiate their product from Carless, Capel & Leonard's "petrol" by calling it “motor spirit.” But when “petrol” became a generic term by the 1930s “motor spirit” went out of circulation. It’s amazing that our journalists still use this long-dead British archaism in their reportage. 4. “Cabals.” This became a part of the active idiolect of Nigerians during the dying days of the Umar Musa Yar’adua administration when a renegade group within the administration alleged that the president had been held hostage by a “cabal.” Now Nigerians talk of the “oil cabals” that is reputedly the beneficiary of government’s multi-billion-dollar oil subsidy payments. This is all creative, except that cabal can’t be pluralized when we are talking about just one conspiratorial clique of power and influence peddlers in the oil industry. The plural form of cabal is legitimate only when we are talking about different cabals, such as the Yar’adua cabal, the Jonathan cabal, and the oil industry cabal. 5. “Palliative.” Nigerian government officials have said repeatedly that they would put in place “palliative measures” to help working-class Nigerians cope with the dramatic increase in the cost of living that has attended the sharp increase in the pump price of petrol. But a palliative, properly conceived, only temporarily relieves pains without curing the cause of the pain. That means government will relieve the grief it afflicted on the people only in the short run and thereafter leave the people to wallow in their agony and distress forever. It is obvious that this is not what the government wants to be understood as saying, although that is indeed what they have in mind. Here is a classic case of incompetent grasp of grammar betraying the real motives of people in power.